Nausea is a horrible feeling that occurs in the upper stomach, usually it is accompanied by an involuntary urge to vomit. There are many causes of nausea, the most common being, morning sickness, motion sickness, diet plan, chemotherapy, dehydration, pollution, certain medications etc. Ginger is one of the best remedies for treating nausea, a hot fragrant spice made from the plant rhizome. It can be used in cooking, preserved in syrup or candied. Does Ginger Help With Nausea? Ginger is one of the best, oldest and most effective remedies for nausea due to its many amazing benefits. It promotes the secretion of saliva in the mouth, promoting the secretion of various digestive enzymes and juices that neutralizes the stomach acids and aids in proper digestion. It has phenols that help to relax the stomach muscles. It contains certain chemicals which help to influence the nervous system, stomach and intestines to reduce the nausea feeling. The presence of gingerols in the ginger will effectively obstruct the chemoreceptor that triggers the urge to vomit. It reduces the damage caused by free radicals throughout the body. It contains more than 14 bioactive substances that helps for better digestion. It helps to block receptors in your stomach from binding serotonin that results in increased nausea if left to bind freely. Ginger can be used in many ways. It can be taken in any form to relieve you of nausea. Wash and peel ginger before cutting into small pieces. Chew these pieces throughout the day. Or you can take this ginger in any form like in raw, cooked, tincture, tea, ale, etc. Or you can also have snacks that contain ginger. Take a teaspoon each of grated ginger and onion juice. Mix it well and eat a spoonful. Continue doing this on regular basis to get relief. Pour 4 cups of water into a tea pan and bring to the boil. Reduce the heat and add 2 teaspoons of fresh, grated ginger and a stalk of lemon grass (sliced lengthwise). Simmer for 15 minutes, turn off the heat to add 2 teaspoons of any herbal tea. Steep for a few minutes before straining. Add a little honey and lemon juice for extra flavour. 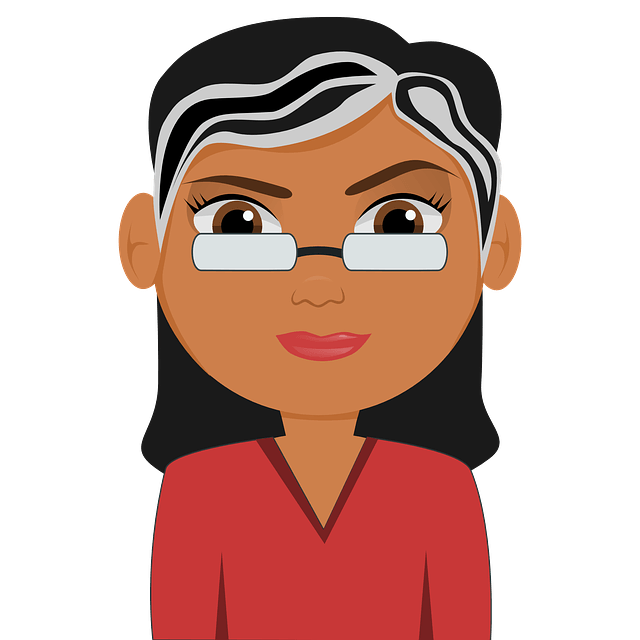 Pregnant and nursing women should first consult their doctor. Prepare ginger tea or take ginger directly to relieve nausea. You can also drink ginger ale, or even prepare your own ginger beer at home! Nausea remedies that are natural such as ginger chews and ginger candy may be helpful for anyone that is pregnant or nauseated post surgery. You can learn how to prepare all of these remedies at home! Ginger tea is a natural home remedy that gives relief from nausea, indigestion, sore throats, cold, flu and so on. Wash a 2 inch ginger root before peeling and cutting into small pieces. Pour 2 – 3 cups of water into a pan and boil for a few minutes. Add ginger to the water and simmer for 5 minutes. Remove from the heat and strain the solution into a mug or cup. Add a little honey to taste. Prepare ginger tea using method 1. Now add 1 ½ tablespoon of tea leaves and juice of one lime to the ginger tea. Allow it to steep for about 2 – 4 minutes and then strain again. Add honey to taste and drink 2-3 times a day. Wash and peel and grate fresh ginger root. Place this in 1 quart of water in a pan. Strain this into a glass and add plenty of ice. Add any sweetener to taste. Ginger ale is the soda form of ginger. It contains an active component called gingerol that helps to suppresses gastric contractions in intestine and minimizes the feeling of vomiting or nausea. Peel 2 cups of fresh ginger and chop roughly and add to a saucepan. Place 3 – 4 strips of lemon or lime peel in a saucepan. Add 4 – 5 cups of water and place over a high heat until boiling. Simmer for about 10 minutes without covering. Add sugar, 1/2 or 1 cup. Stir it well and turn off the heat after 15 minutes. Strain in a large bowl and store covered for about 7 days. Mix 1/4 cup of this syrup with a cup of cold club soda. Add 1 cup of peeled, finely chopped ginger. Reduce the heat and simmer for 5 – 8 minutes. Remove from the heat and allow it to cool for about 20 minutes. Strain the solution in a glass container. Pour a cup of water into a separate pan with a cup of sugar and boil until dissolved. Keep this sugar syrup aside to cool. Mix 1/2 cup of ginger water with 1/2 cup of club soda and 1/3 cup of sugar syrup. Stir well and add a few drops of fresh lime juice to each glass. Add 1 ½ ounces of finely grated fresh ginger, 3/4 cup of sugar and 1/2 cup of water to a large saucepan on the stove. Stir thoroughly till the sugar dissolves completely and remove from the heat. Let it steep for about an hour. Refrigerate until it reaches 20 – 22° C.
Pour this syrup into a 2liter clean plastic bottle and add 1/8 teaspoon of active dry yeast, 2 tablespoons of freshly squeezed lemon juice and 7 cups of water. Leave it for 48 hours at room temperature. Pop open the top and check for right amount of carbonation. Once it is carbonated refrigerate it and open the bottle once a day to let out the excess carbonations. Nausea in pregnancy is generally known as morning sickness, but can strike at any time. 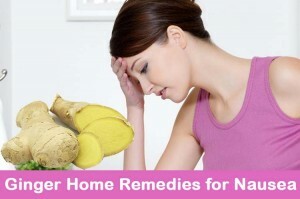 Ginger is one of the best and most effective natural home remedies for treating this. Include ginger in your diet. The recommended dosage should be about 250 mg of ginger for 4 times daily. Grate a fresh piece of ginger root. Add to a cup of water and boil it for few minutes till water reduce to half of its original quantity. Let it cool for few minutes and then add a little honey. Stir well and drink every morning. Stir it well and let it steep for about 10 – 15 minutes. Drink 2 – 3 times a day. Mix 1 teaspoon each of mint leaves paste, lemon juice, honey and ½ teaspoon of ginger paste and stir well. Consume this twice a day. Or consume: ginger snaps, real ginger ale, ginger tea, ginger candies or any other ginger drinks. Ginger beer helps to settle your stomach whenever you feel nauseated. For pregnant women it’s always better to have non-alcoholic ginger beer which helps to banish the unease queasiness. Soften 4 oz of dried ginger root with a meat tenderizer. Boil this ginger root in 1/2 gallon of water and then remove from the heat. Mix a packet of dry yeast and juice of a fresh lemon to a cup of warm water. Pour this into ginger water on the stove. Add 7 cups of water and leave this mixture to brew for about 24 hours. Strain into a bowl then add 1/2 lb. of sugar. Pour into a bottle and place in the refrigerator. This recipe should make about 10 – 14 oz bottles of ginger beer. Always store in the fridge. Grate 1/2 lb. of fresh ginger. Put in a pan with a cup of sugar and 2 cups of water. Boil it for few minutes and bring it to a simmer until the syrup has reduced to half. Chill the syrup by placing it on the refrigerator. Mix 1 part of syrup to 2 parts of club soda. Drink by stirring with ice. Candies like lozenges or lollipops, etc. are some popular choices as these are easy to eat and are more palatable than using raw ginger. Peel ginger and cut into small pieces. Mix with honey in a saucepan. Add a cinnamon stick and cook it for few minutes. Remove from the stove and place the mixture in oven for a few minutes. Crystals will start to form. Add grated coconut for flavour. Consume regularly. Or Eat ollipops or lozenges made with real ginger. Ground or powdered ginger can be used when you don’t have fresh ginger. Pour a cup of hot water on a teaspoon of powdered ginger. Stir well and add any natural sweetener. Stir a spoonful of ground ginger to 2 – 3 teaspoons of honey to make a thin paste. Boil 4 cups of water for a few minutes. Add 3/4 teaspoons of ground ginger. Allow it to steep for about 2 – 4 minutes. Add 1 ½ tablespoon of tea leaves to a teapot. Pour the boiling water into the teapot through strainer and close. Wait for a minute or two and then pour into teacups. Add a little honey and few drops of fresh lime juice. Stir it well and then drink regularly. Ginger chews are made from many pieces of real and fresh ginger root. It contains many natural active ingredients and helps to get rid of nausea. Cut freshly washed ginger root into slices. Steep for a few minutes to soften. Coat in sugar and chew these ginger pieces. You can also find flavoured ginger chews. But make sure to check the sugar levels. Ginger snaps or ginger cookies help to treat nausea and vomiting. They are easily digestible and are lower in fat and sugar than other cookies. They contain good amount of vitamins and minerals like iron, folate, vitamin E and calcium. Add 3/4 cup of margarine (or Butter) and a cup of white sugar to a bowl and stir well until it becomes smooth. Beat an egg and add 1/4 cup of molasses and blend. Mix all these ingredients to make a dough. Roll into 1 inch balls and roll the balls in the 1/2 cup of white sugar (for decorative purpose). Place these cookies 2 inch apart onto ungreased cookie sheets. Bake for about 8 – 10 minutes in the preheated oven and allow the cookies to get cool for 5 – 8 minutes. Remove to the wire rack to cool completely and have. Store the remaining cookies and have these regularly as snacks. Ginger now comes in the form of great tasting chewing gum. Sea – band anti-nausea ginger gum is a drug free and gluten free option that gives relief from the nausea which occurs due to motion or morning sickness and chemotherapy. The gum can be bought in any drug store or online. Each pack provides an equivalent of 12g of fresh ginger root or 25 mg of natural ginger oil. There are 24 pieces of gum in 2 foil packs in each box. It can be taken at anytime and convenient to use it anywhere by anyone i.e. children, adults and pregnant women. All without any side effects. Chewing this regularly will help to treat nausea very efficiently. If you can’t cope with the taste of ginger, ginger based tablets can be taken. Taking 2 ginger root pills or tablets will relieve you from nausea but make sure to consult your doctor or any health practitioner to know the exact dosage. These can be bought from most health food stores. Some studies recommend that the optimal dose of ginger capsules to control nausea is between 500 – 1000 mg per day. Remember that this capsule dosage may vary. These ginger capsules are available in any of the health stores, pharmacies and even online that can be taken by consulting the doctor or healthcare provider about the dosage. Follow these simple tips and precautions to get rid of nausea by using ginger without any side effects. Drink ginger tea or any of the ginger beverages early in the morning with an empty stomach. Drink ginger tea while travelling to keep the vomiting and nausea at bay. Pregnant women can drink this ginger tea whenever they are feeling queasy but make sure to take the advice of their healthcare provider about the dosage of ginger. It cures upset stomach, gas and other intestinal problems which are also considered as one of the reason for vomiting and nausea. Ginger has some mild side effects like heartburn, stomach discomfort, diarrhea, etc. when taken in large quantities. Do not use ginger if you are taking blood – thinning drugs and diabetes medications. Make sure to consult the doctor to take the advice of taking this ginger and its supplements in the treatment of chronic health problems. It should not be given to the children who are under 2 – 3 years of age. Ginger can lower the blood sugar and increase the risk of developing hypoglycemia or low blood sugar. This in turn could lead to a diabetes problem. It lowers the blood pressure and raises the risk of low blood pressure or irregular heartbeat. Avoid taking ginger if you’re suffering from high fever, any inflammatory skin complaint, ulcers or gallstones. Please let us know which remedies worked for you. Do not forget to share with us. Could you add using ground ginger? Some cannot always access fresh. Where to buy ginger lollipops in Augusta, ga?